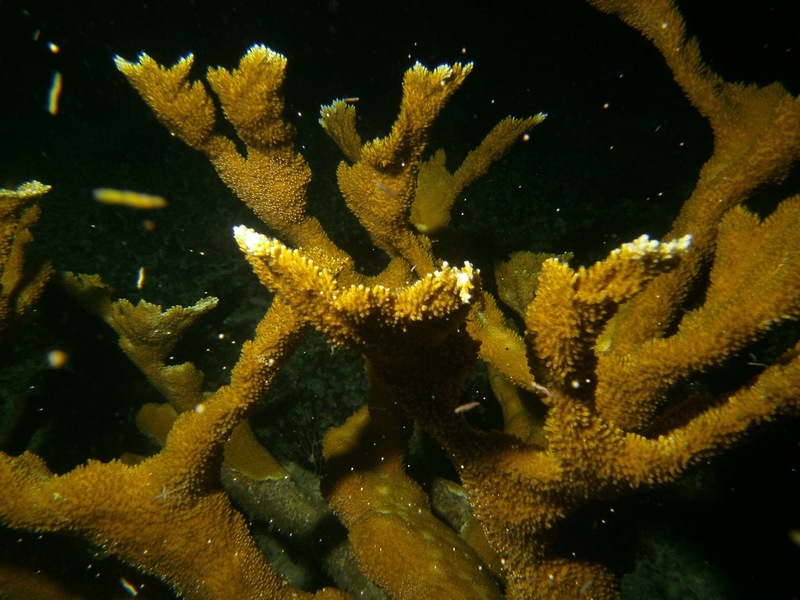 SOUFRIERE, St. Lucia (September 7th, 2015) Anse Chastanet’s experienced scuba team predicted this year’s coral spawning to occur on September 5th and 6th and as usual they were on right on cue. 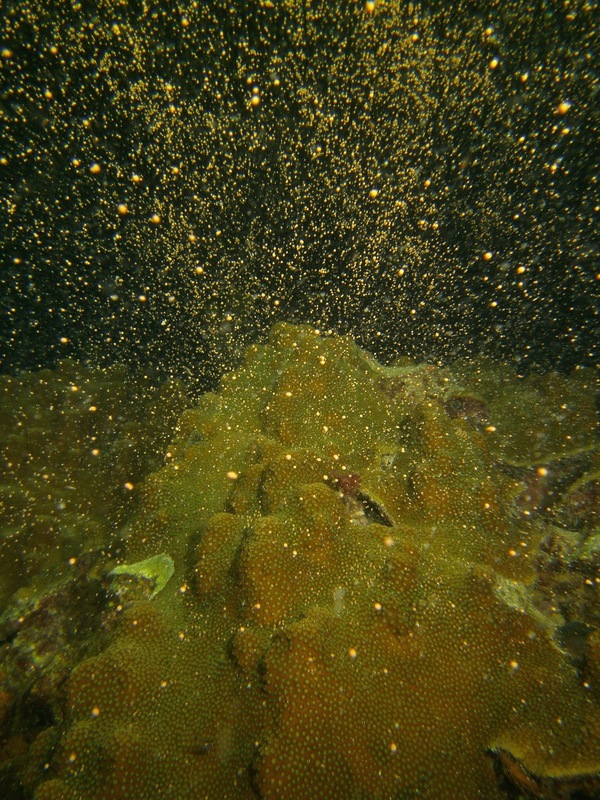 On the first evening, the spawning started with the elkhorn corals at around 9:15pm followed by the brain and boulder star corals, which again spawned in large numbers this year. 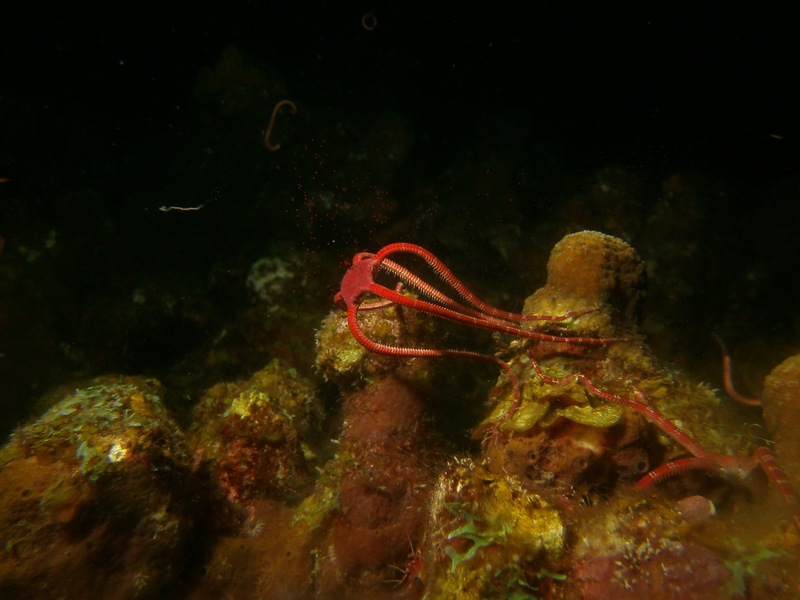 On the second evening of the spawning, scuba divers could observe the ruby brittle star fish which also spawned in large numbers. Observing the brittle stars is similar to watching a magic act as they appear so suddenly. The spectacle starts with one and within a blink of an eye the reef is teeming with a vibrant red as their numbers grow. Their goal is to climb to the highest points to release their eggs to make sure they can drift away freely. 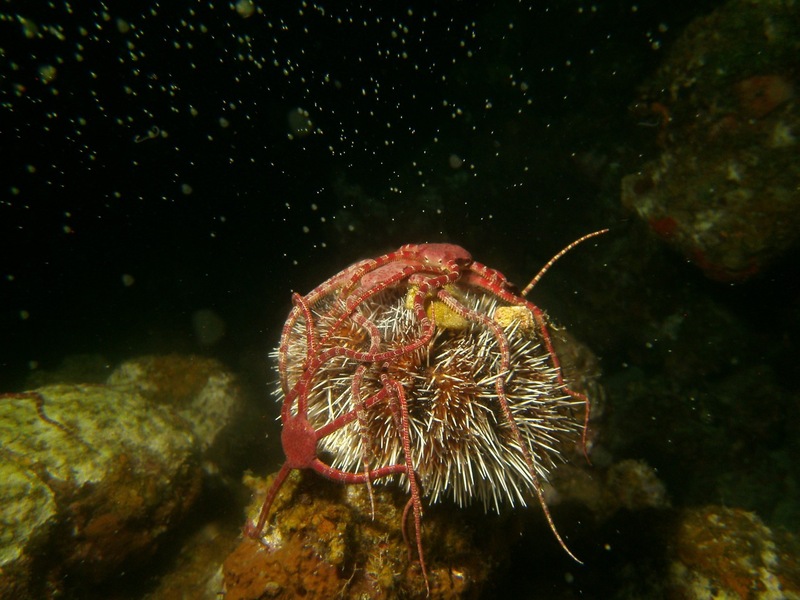 In the process they will use any means necessary including climbing sea urchins to get higher on the reef. This year, scuba divers could again observe a number of worms in particular one set of mysterious worms for which there is no official classification for as yet. The unique thing about these worms is that when they get in contact with something the bluish worm appears to explode in what looks like thousand of tiny blue eggs while the red ones explodes in a cloud of what appears to be sperm. ANSE CHASTANET on lush tropical St.Lucia is one of the Caribbean’s most panoramic resort hideaways. Nestled amidst a 600 acre estate with two soft sand beaches bordering pristine coral reefs. Forty-nine individually designed rooms are scattered about a lush hillside while some are located at beach level. And while the sensuous seclusion of the rooms provides some guests with the perfect excuse for lolling away the day on the balcony, others head out to partake in the many activities on offer; yoga, snorkeling, scuba diving, tennis, sunset sailing, sea kayaking or jungle biking, hiking and bird-watching among the ruins of an 18th century colonial plantation. The resort PADi 5* diving operation SCUBA ST.LUCIA caters to beginners and experienced divers alike. Nitrox is available. Beach, boat, wall and wreck diving are all offered. The night dives right on the ANSE CHASTANET reef are a highlight for any diver. Look for THE THING.